Today, Governor Ron DeSantis named Barbara Lagoa of Miami-Dade County as the 87th Justice of the Florida Supreme Court since statehood in 1845. 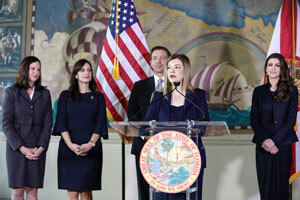 She is the first Cuban American woman as well as the first graduate of Florida International University to serve on the state's highest court. Justice Lagoa's appointment was announced by the Governor at Miami's historic Freedom Tower. In the 1960s, refugees from Cuba were given asylum and medical assistance here after federal immigration authorities converted it into a refugee center. As her family watched today, Justice Lagoa told the press corps how her own parents had fled Cuba over 50 years ago with only the clothes on their backs. Their flight from despotism, she said, was inspired by the desire to live in a nation of laws and not a land of tyranny. She said her own respect for the rule of law is deeply rooted in that experience. After graduating from FIU in 1989, Justice Lagoa attended Columbia University Law School. She was an editor on its law review and received her degree there in 1992. She practiced civil law until accepting a job as an Assistant United States Attorney in the Southern District of Florida in 2003. In June 2006, Governor Jeb Bush appointed her as a judge on Florida's Third District Court of Appeal in Miami. She recently was elected the chief judge of that court. 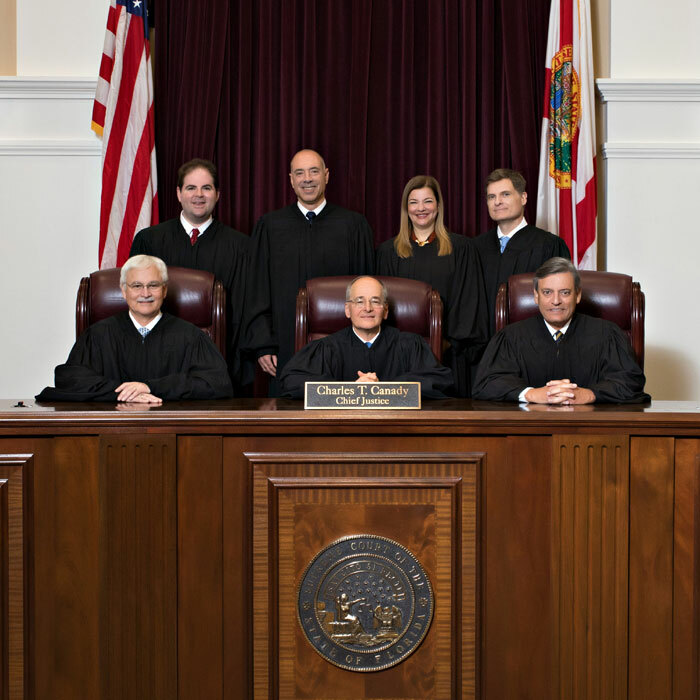 Justice Lagoa's appointment to the Florida Supreme Court takes effect immediately. It is the first of three vacancies the Governor must fill as he begins his new term as Florida's chief executive. The vacancies were created by the departure of three Justices who reached mandatory retirement age earlier this month. Visit our Facebook page for more images. Photo on this page courtesy Miami Dade College.